The Princess Theater, was built in Urbana, IL, in 1870. It was built as a gallery by an unknown architect. Busey’s Hall, also known as The Princess Theater, was one of the first brick buildings in Urbana, Illinois. The building was originally built for two brothers, Samuel T. and Simeon Busey, yet the architect is unknown. It was built on Busey’s Block in 1870 as a multipurpose opera house which included a bank. Busey Hall’s brick construction paved the way for downtown Urbana to begin using brick construction soon after the building had survived due to its brick construction during a large fire in 1871, which destroyed most of the wooden buildings. This building was known as Busey’s Hall until it was transformed into the Princess Theater in 1915. The current pergola and an Art Deco facade were added in 1934 by the Alger Brothers who ran the theater until 1958. It was later sold in 1967 to Kerasotes Theaters who owned it until the theater closed in 1994. 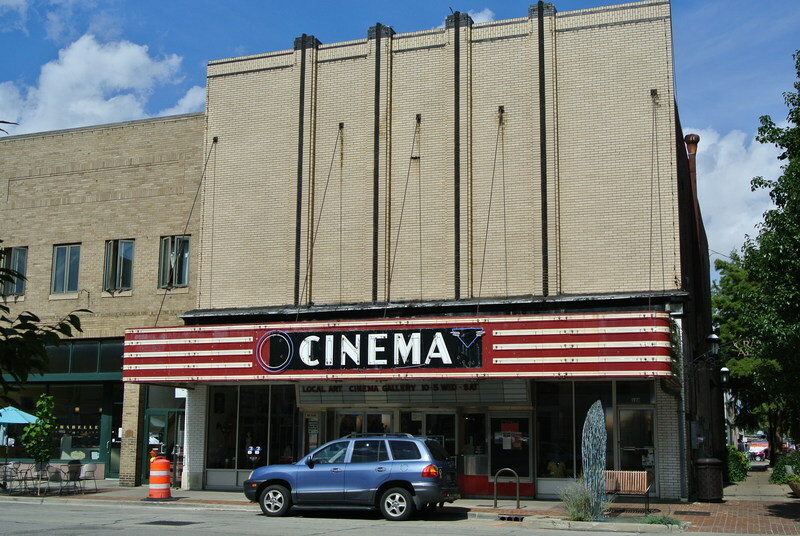 Nevertheless, in January 2001, current owner Carolyn Baxley opened Cinema Gallery in the lobby of the previously known Princess Theater in downtown Urbana on 120 West Main Street. Still visible in the gallery today are some of the building’s historic elements. Busey’s Hall is possibly the oldest building in downtown Urbana. The Busey brothers, who financed the building, were part of the founding family of Urbana who had built Busey’s Block, also establishing Busey Bank and Urbana Free Library. They built Busey’s Hall to hold their newly created bank on the first floor. The second floor held the first opera house in Urbana. Opera houses—featuring live performances and entertainment—were very popular in the late nineteenth century. Busey’s Hall held many social events, such as dances, dinners, lectures, and even hosted theater groups and other entertainers. The first floor entrance is of porcelain and stainless steel with tall display windows and a curved ticket window. A maroon and white marquee with “Cinema” in neon letters is above the building entrance with a display board angled beneath it. The Princess Theater is being nominated for landmark status for its significance as part of the architectural, artistic, civic, cultural, economic, educational, ethnic, political or social heritage of the nation, state or community. Formerly, the Princess Theater held live performances and motion pictures on the top floor. Now, the building is used as a gallery that is open to the public. 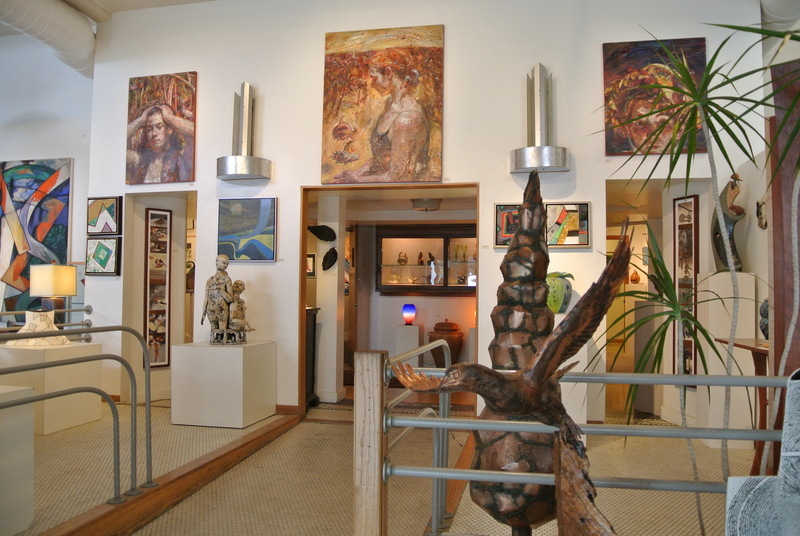 The gallery extends through a few small rooms on the first floor—the former Princess Theatre’s lobby—and showcases an array of artwork, including paintings, sculptures, prints, mixed media, drawings, ceramics and glass work. 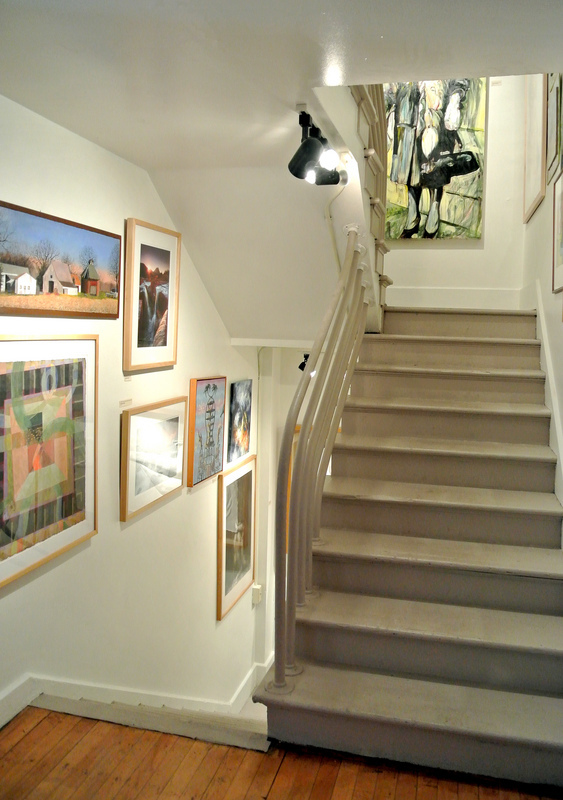 The Cinema Gallery showcases work of over seventy professional artists of the Midwest including faculty from the University of Illinois, Parkland College, Illinois State University, Eastern Illinois University, Fontbonne University, Illinois Wesleyan, Morehead State University and St. Louis Community College. Individual and group exhibitions change in the main gallery every 6-8 weeks. Unfortunately, the firm and architect of Busey’s Hall/The Princess Theater are unknown to this day. It is only known that the Busey brothers were the clients of the building. Without a known architect, there cannot be any knowledge of other completed projects by the architect and the firm. 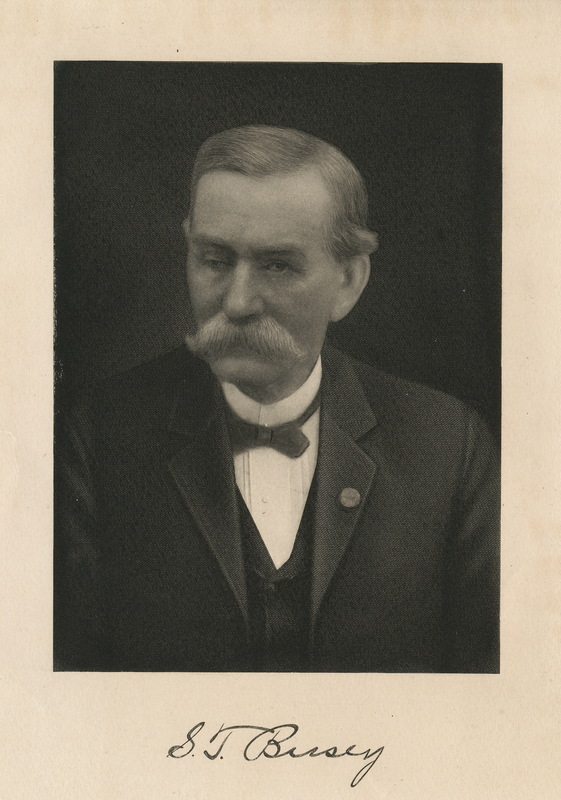 Samuel T. Busey, n.d.: Image courtesy Champaign County Historical Archives, Urbana IL. 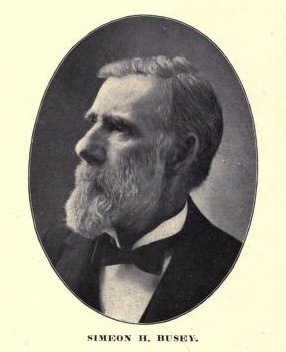 Simeon H. Busey, n.d.: Image courtesy: Bateman, Newton, Selby, Paul. (1905). Historical encyclopedia of Illinois. Chicago, Munsell Pub. 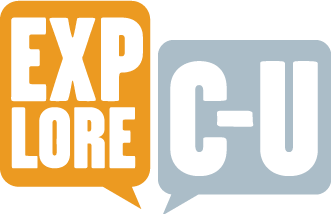 Co.
Garriott, Lauren, Shannon McFadden and Bokang Du, “Princess Theater,” ExploreCU, accessed April 18, 2019, https://explorecu.org/items/show/309. Garriott, Lauren. “The Princess Theater.” 6 Oct. 2013. JPEG files. Baxley, Carolyn. “Gallery History.” Cinema Gallery. Cinema Gallery, 2013. Web. 20 Oct. 2013. Cuerda, Sasha. “120-124 W. Main St., The Princess Theater.” City of Urbana, 29 May 2012. Web. 21 Oct. 2013. Mabel, Ira. “Busey’s Hall/Princess Theatre.” City of Urbana, 10 Aug. 2011. Web. 21 Oct. 2013. (below, source from Urbana Free Library) Haas, Shauna J., Baxley Norman, Baxley, Carolyn, and Urbana (Ill.) Historic Preservation Commission. Urbana Historic Preservation Commission Form for Landmark Designation: 120-124 W. Main, Urbana IL. n.p., 1999. Print. Samuel T. Busey Older photo. n.d. Photograph. Champaign County Historical Archives, Champaign. Simeon H. Busey. n.d. Photograph. Historical Encyclopedia of Illinois: 1905, Champaign.